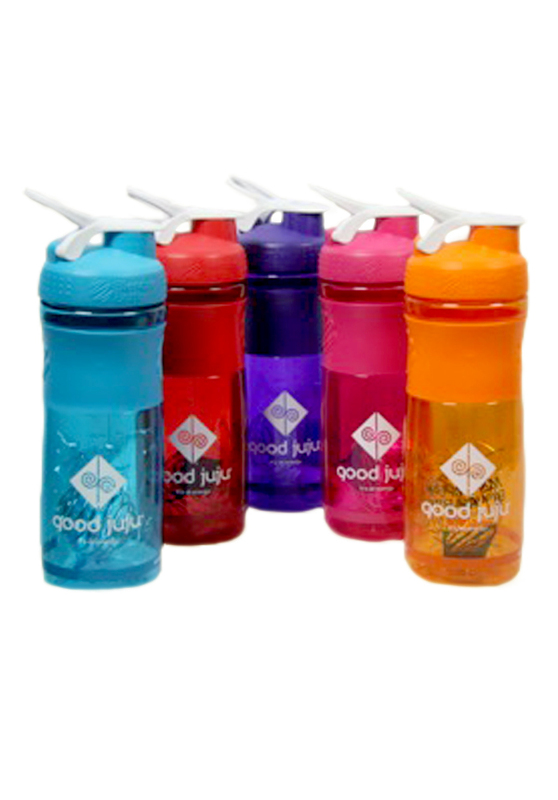 Our Good Juju Blender Bottles are perfect for a protein shake or supplemental meal. Whether you are on the go or just in the need for a quick blend, these bottles are perfect! Also, be sure to pick out your favorite energy color! 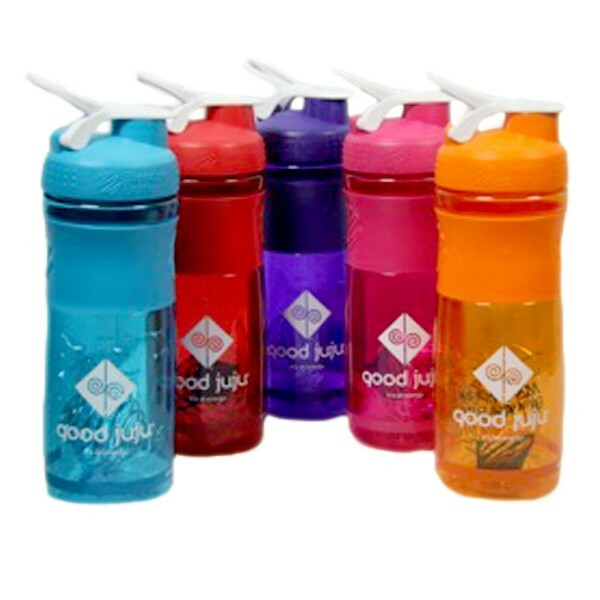 Our blender bottles come in purple, turquoise, red, pink and orange! These vibrant energy colors can help you in different areas of your life! Orange is for energy! If you are feeling a little sluggish, be sure to drink out of our orange blender bottle! Turquoise will help you speak your truth! If you have a hard time communicating your thoughts and feelings be sure to open your throat chakra with our turquoise blender bottle! Purple will remind you to connect to your higher source in all areas of your life! Feel connected with our purple blender bottle! Pink is for love. If you are not feeling loved, take a drink from the pink to draw in love! Go ahead and drink in the love everyday! Red means power! Are you ready to gain control of your life? Our red blender bottle will help you stay grounded as you gain control! Be sure to pick a color that suit your needs! !